This is the twelfth year Rome is hosting its glittering and joyous film festival. And, each year, this is the time for the world visual arts community to rejoin the Eternal City, cradle of well-renowned Italian movie industry (and the worldly famous and charming Cinecittà). Shows are aired at the music park, designed by Renzo Piano, surrounded by a unique atmosphere and marked, for the occasion, by the traditional red carpets. Here comes a chance for you to live through this experience and watch the movie that, at the end of the festival, will be the winner of the Audience Award. For further information: http://www.romacinemafest.it/en/rome-film-fest/ Right after the movie we will get together for dinner, within the same Cinema Village. A tasting menu of Puglia regional specialties will be served (www.foodopolis.it). Open to all Alumni. 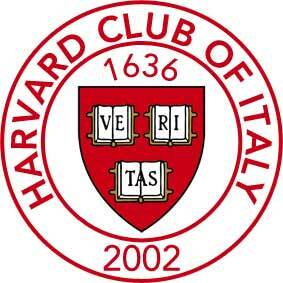 Harvard Club of Italy members in good standing (2017 dues paid) enjoy a discounted fee and may bring guests. Fees cover both the charges of movie ticket and dinner. A limited number of tickets is available, to be handed out on a first-come first-served basis.